Dist gain range 0 - 60 dB min. Power Requirements 9 V DC Regulated, 18 mA max. Spice up your sound! 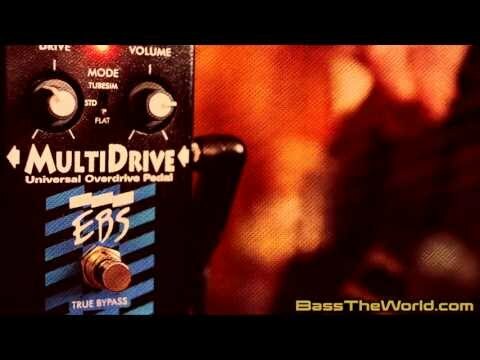 The MultiDrive is considered an overdrive, more than a distortion pedal. The mode switch selects Tubeism, Standard or Flat overdrive type sounds. All with a preserved bottom since the pedal let through the low frequencies untouched and solid. With guitar, it provides a slightly overdriven bluesy tone with lots of sustain and body. This is the pedal to spice up your sustain! Evolution. The MultiDrive was first introduced in 2001. The 2008 edition improvements added 3 dB higher headroom, higher sensitivity and new analog circuitry with higher dynamics and lower noise, as well as true bypass switching technique.